When former Law and Order Minister Tilak Marapana remarked in Parliament that there was no illegality regarding what many called ‘Avant Garde floating armoury’, he would have never anticipated that his utterance would lead to his resignation from office as a Cabinet Minister. Both some government ministers and a section of the Opposition, particularly Janatha Vimukthi Peramuna (JVP), were mounting pressure against the law enforcement authorities to investigate what they called ‘fraud, corruption and other wrongdoings’ at Avant Garde Security Service. In this context, the minister’s spontaneous denial of these charges in the floor of the House, evoked the ire of these politicians who affirmed again and again with renewed vigour that there was a clear case in this respect. Incensed by the minister’s position, they mounted a fresh campaign that eventually that culminated in the resignation of the minister. Amid intense pressure for furtherance of investigations, President Maitripala Sirisena called for a special Cabinet meeting on Monday to discuss what should be done next. While the meeting was in progress, he informed the Cabinet that he received the letter of resignation from Marapana. The meeting, anticipated to be intense with heated arguments, turned somewhat nonchalant following this announcement. Yet, the stormy session began after Health Minister Dr. Rajitha Senaratne took a swipe at Justice Minister Dr. Wijeyadasa Rajapakshe who is reported to have said that there is no course of action regarding the Avant Garde case as per the observation by the Attorney General. “You cannot rub off investigations when there is clear- cut evidence,” he shouted . Dr. Rajapakshe snapped back saying he, as a person with enormous experience in the legal field, had acted in conformity with the procedure. He asserted that he had not done anything wrong in this case. Alongside, Megapolis and Western Region Development Minister Patali Champika launched a scathing criticism over what he called ‘attempts’ to sweep the investigations under the carpet. He said this was an incident with international ramifications at the moment. He charged this security service had supplied manpower to the government of Nigeria to fight the UN-listed terrorist outfit called ‘Boko Haram’. Besides, he said it had connived with some criminal activities in the Maldives. Despite the resignation of Marapana as the Law and Order Minister, the meeting finally became stormy with the hurling of allegations against each other. No matter what, the resignation is interpreted in different ways by sections within the government and the Opposition. The camp of former President Mahinda Rajapaksa, politically impacted by various charges of corruption and fraud, noted that Marapana’s denial as the expression of reality in the back drop of some government politicians fighting tooth and nail to vindicate their accusations against the former rule. 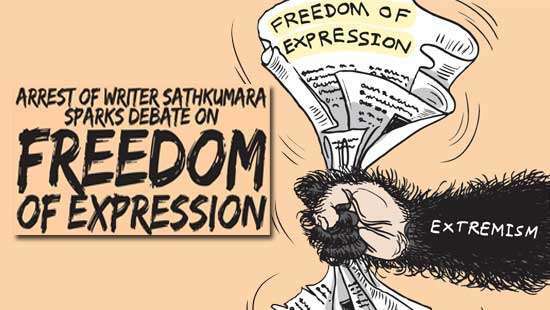 The political acolytes of Rajapaksa have already made pronouncements to this effect. Nonetheless, the United National Party (UNP) sees it as a positive sign of a healthy democratic system in which Cabinet Ministers take responsibility for their mishaps and resign. 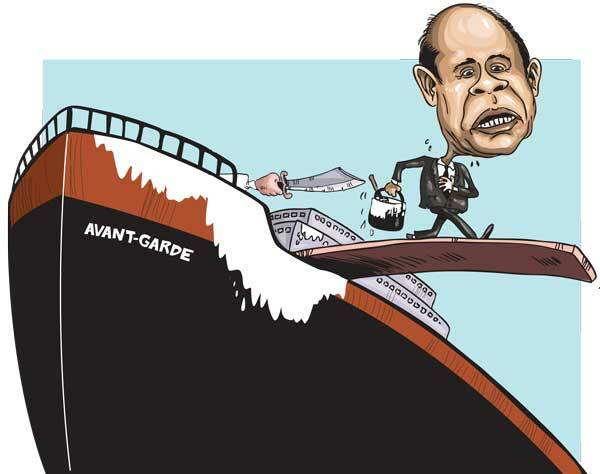 It now lies in the hands of President Maitripala Sirisena and Prime Minister Ranil Wickremesinghe to decide whether to terminate the Avant Garde case or not. All in all, one thing is now clear; the national government, formed by the UNP and Sri Lanka Freedom Party (SLFP) is riddled with differences in terms of both micro and macro issues. Marapana yielded to pressure from his own Cabinet colleagues and resigned. It was only one incident which spoke of antagonism among the ministers over approaches to issues. With the emergence of confrontations among the ministers, there are whispers in political circles that the UNP-SLFP National Government is now fragile. Afflicted with such concerns, the SLFP Ministers met President Sirisena separately as their leader and discussed strategies to be evolved to overcome the situation. The meeting took place after Monday’s Cabinet meeting. The President sounded confident that the government would remain stable. He might have come to that conclusion because there is a constitutional bar for the dissolution of Parliament for four years. At the meeting, the SLFP ministers proposed to revive the party ahead of the local authorities’ election. Sports Minister Dayasiri Jayasekara, who switched his allegiance to the President soon after the Presidential Election, put forward a political programme, requesting the President to address the rank and file of the party at grassroots level. At one point, he said it was all the more important to revitalise the party starting from ground level amid threats by political leaders such as Wimal Weerawansa to form an alternative front against SLFP to contest the election. The President opined that it would only split the vote base, eventually ensuring victory of the UNP at this election. Therefore, he stressed the need to unite the party. The two main parties-UNP and SLFP- will be pitted against each other at the local election proposed in March, next year. Yet, they are now part and parcel of the same national unity government at the moment. Despite all that, dissension has emerged between the two parties particularly over allegations of discrimination in the allocation of funds to start development work and giving appointments in the state sector. At the UNP parliamentary group meeting last week, the MPs raised concerns about it. In one instance, it is alleged that some appointments made by MP Ranjitha Madduma Bandara to the Sri Lanka Transport Board as the subject minister during the 100- day government, had been cancelled by Public Transport Minister Nimal Siripala de Silva. Drivers and conductors, recruited on contract basis, will lose jobs in this manner. Likewise, the SLFP ministers also decry the lack of financial allocations to start new projects and to complete the work initiated during the previous government. Recently, it is learnt that Labour and Labour Relations Minister W.D.J. Seneviratne sought financial allocations to complete a school project in his electorate in the Ratnapura District. But, much to his disillusionment, the respective ministry ruled out the possibility to disburse any money. The ministers charged that most projects had ground to a standstill due to the lack of funds, and that people in villages were distraught. The UNP ministers, at least, keep their fingers crossed with the hope that things would fall in line after the budget debate. They believe necessary financial allocations would be made in the annual budget to be presented in Parliament on November 20. The UPFA’s opposition group organised a protest in the Horana town over the fall of rubber prices leaving growers, particularly, small holders in the lurch. It appeared to be the beginning of opposition activism against the government, and the opposition political forces are planning to assert themselves in full measure against the government in the days to come. The group, comprising several party leaders, met at the residence of a former minister in Colombo on Monday and worked out their next course of action. The meeting was attended by National Freedom Front Leader Wimal Weerawansa , Mahajana Eksath Peramuna, Leader Dinesh Gunawardane , and MPs such as Prasanna Ranatunga, Bandula Gunawardane and others. First, the group stressed that it should speed up action, together with trade unions, against the proposal to bring the Employees Provident Fund (EPF) and Employees Trust Fund (ETF) under a new management system, removing them from the purview of the Central Bank. The proposal, announced by the Prime Minister in his midterm economic plan, was to set up a separate independent institution for the management of these funds. Though the UNP sees it as a better way to manage the funds, the Opposition sees it otherwise. Therefore, the opposition groups decided to call for a meeting with trade union leaders this week itself to halt the government’s move forthwith, let alone its implementation in the midterm. This opposition group, loyal to former President Mahinda Rajapaksa, is planning to go to town against the proposal to bring all state institutions under a government holding company based on the ‘Tamasek model’ in Singapore. The Opposition sees it as a move towards the privatisation of state institutions. 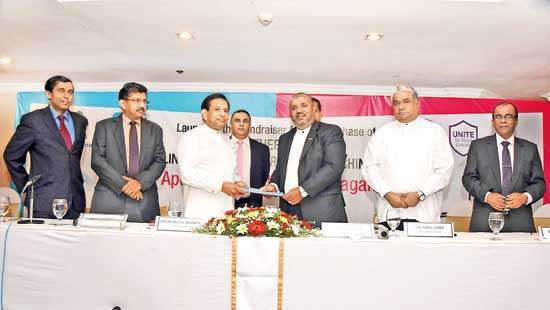 As a matter of principle, the UPFA is opposed to privatisation of state ventures. The parties and the MPs, backing Mahinda Rajapaksa, is working out arrangements to celebrated his 71 birthday on a grand scale with religious observances in Anuradhapura on November 18. They are planning to conduct religious events near the Jayasiri Maha Bodhi. At a recent national ploughing ceremony, a funny scene was witnessed when a bull and a buffalo were yoked to the same plough. The two animals, once driven to the paddy field chosen, started pulling the plough in different directions, making a mockery of the event. It took place at an event in Polonnaruwa. The former president compared it literally with the status of the present government. 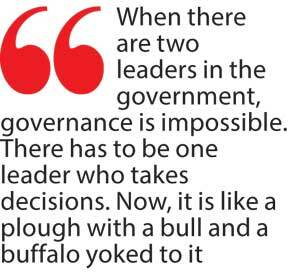 “ When there are two leaders in the government, governance is impossible. There has to be one leader who takes decisions. Now, it is like a plough with a bull and a buffalo yoked to it,” he told the media. Front line Socialist Party Leader Kumar Gunaratnam, who arrived in the country on January 1, was arrested recently for overstaying his visa. He is now in remand custody. As a person born and raised in Sri Lanka, he later got citizenship in Australia where his spouse and children lived. He was facing arrest for some time. His party has reportedly advised him to be vigilant about his movements. But, he was taken into custody finally in a village close to the Kegalle town where his ailing mother lived. Controversy surrounds his stay in the country. But, his party says he is willing to do politics here, and therefore has applied for citizenship in Sri Lanka. But the Sri Lankan authorities have not yet granted it. Before that, Gunaratnam had submitted documents to the Australians authorities seeking to cancel his citizenship in that country. The Australians authorities have reportedly been surprised as there was hardly anyone seeking his or her citizenship stripped from a country like Australia which has become the much sought after destination for thousands of illegal migrants from different parts of the world. In fact, the Australian authorities have noted it as the rarest of rare cases ever heard in that country. However, Australia has declined to cancel Gunaratnam’s citizenship. Former UN High Commissioner for Human Rights Navi Pillay addressed a workshop organised by Solidarity Group for Peace and Justice in Sri Lanka, a movement based in South Africa. It was conducted in Durban, South Africa on November 6 and 7.Tamil National Alliance (TNA) members Suresh Premachandran, M.K. 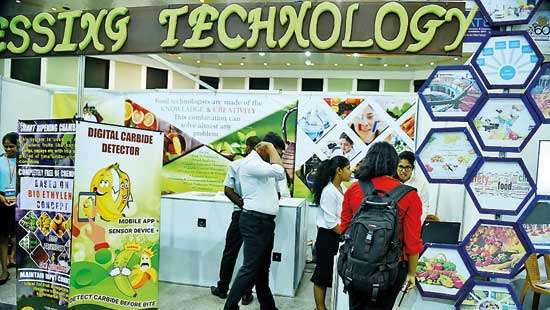 Sivajilingam and Ananthi Sasitharan were among the participants from Sri Lanka. Ms. Pillay addressed the workshop for nearly two hours and asked the members to struggle without any respite till justice and peace were achieved for the Tamils in Sri Lanka. She said protest campaigns against aggressions committed well over 70 years in some other countries , are being continued to today. Internationally, Tamil Diaspora groups look active, and their activism is gaining momentum in the international arena. But, back in Sri Lanka, the government is plagued with differences, that are hampering policy decision making. Differences may even widen when dealing with the matters regarding ‘justice and peace’ as there are many sensitive issues involved in the local context.